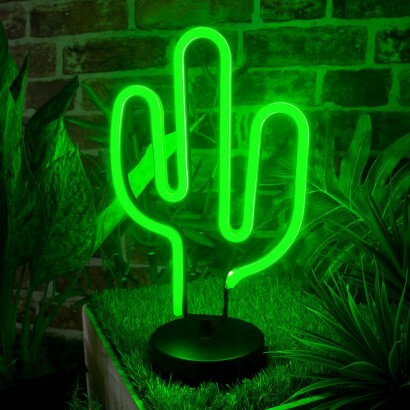 Who needs to waste time caring for real plants when you can fill your space with a kooky cactus light outlined with LED neon?! A fun retro lamp made in vibrant green LED neon, this kitsch light brings a playful feel to your interiors and fills your space with bright green light. Battery operated, place this delightfully retro lamp anywhere in your home for vibrant light effects!